Adapt display is good for your eyes!!! The Adapt display will optimized display settings that fit you. Galaxy S4 can use 7 automatic modes and 4 manual modes to adjust the display so that you can get optimal viewing experience. For example, watching videos and reading e-books will use different settings. Essentially, the Adapt display adjusts the display brightness, contrast and saturation according the content we are seeing, and the ambient lightning conditions. It is not perfect, but it is the best display solutions. Of course, some users complained about the over-saturated (or better-than-life) color in AMOLED displays before as explained in this post. 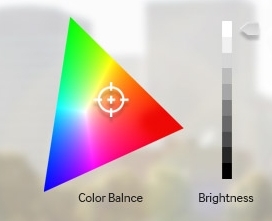 Adapt display will not stop their complaint , but they will admit that this inaccurate color really make your eyes happy and more importantly, make your eyes relaxed automatically. If you need accurate colors, you can try Professional photo mode. To activate (or deactivate) Adapt display, you can go to settings–Display–Screen Mode–Adapt display. Do you have any questions on Galaxy S4 Adapt display? if you have any questions or encounter any issues with Galaxy S4 Adapt display, please let us know your questions or comments in the comment box below. You may check Galaxy S4 online manual here. Check this page for more Galaxy S4 features. Weather info is a widget.You can manually add it to home screen or lock screen.